ASTM B462 / ANSI B16.5 / UNS N08020 / DIN 2.4660. ANSI 16.5 Socket weld flange, DIN 2.4660 Flanges, WERKSTOFF NR. 2.4660 Flanges, ASTM B462 Alloy 20 Slip on flange, UNS N08020 Flanges, Alloy 20 Flanges, Alloy 20 Flanges Supplier in Mumbai, India. Alloy 20 Reducing flange, Alloy 20 SWRF flange, Alloy 20 Threaded Flanges, Alloy 20 Plate flange, Alloy 20 Welding neck flange, Alloy 20 Forged flanges, Alloy 20 Long weld neck Flange, Alloy 20 Spectacle blind flange, Alloy 20 Ring type joint flange, Alloy 20 SORF flange, Alloy 20 Tongue and Groove flange, Alloy 20 Screwed flange, Alloy 20 Flanges Exporter, Alloy 20 Blind flanges, Corrosion Resistant Alloy 20 Flanges. Jayesh metal is the supplier, trader, and maker of Alloy 20 flanges. This exceptional quality alloyed product is engineered with the highest precision, with the aid of modern machinery. 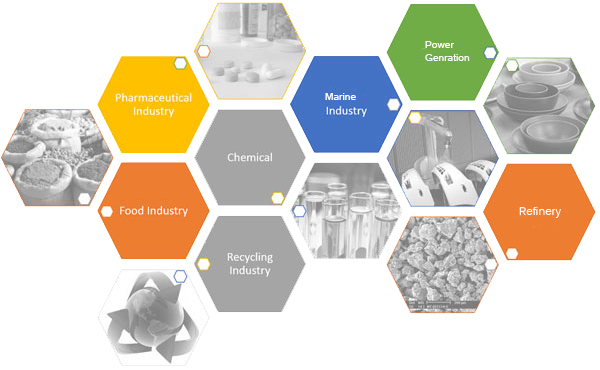 Also, such kind of products is often made keeping in mind almost all the national and international quality of standards and industry regulations. The component is manufactured in order to meet the necessities and demands of unlike industries. 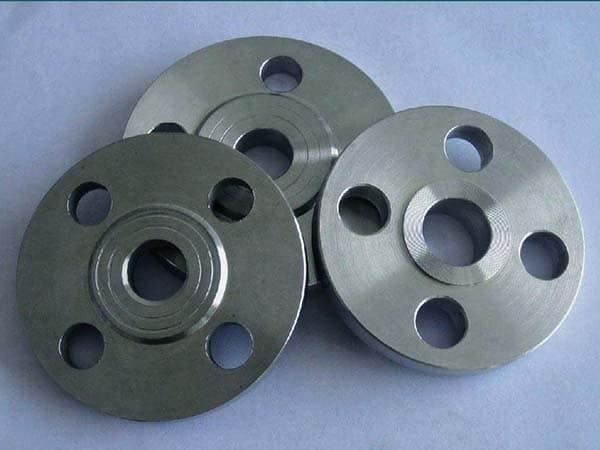 This alloy flange has now become the most famous alternative of the extensive range of industries like the food, medical, plastics, and chemical industries. The standards it covers ASME as well as ASTM and the designation is SB 462 or B 462. It has different features like highly resistance to rust or heat, ductile, doesn’t need high maintenance, long life cycle, reliable, brittle, and more. It is extremely affordable to get from us. And if you buy it in bulk, you may get a few percent discounts. If we discuss alloy 20 flanges sizes and thickness, so it can be purchased as per your desires and needs. In order to supply the high-quality flange to our broad customers, we conduct various tests wherein the actual quality of the product comes out. And the names of those tests are like radiography test, micro test, destructive test, non-destructive test, macro test, hydrostatic test, third-party inspection, mechanical or chemical property test and more. After getting the certification and the tag of 100% originality, the flange is sent to be packed in wooden boxes and others in order to ensure its safety. alloy 2.4660 screwed flanges supplier, alloy 20 flanges manufacturer in india, alloy 20 spectacle blind flanges, alloy 20 flanges manufacturing companies in india, alloy 20 supplier in india, alloy 20 flanges suppliers, alloy 20 flanges manufacturer, alloy 20 flange stockholders in india, coastal flange, alloy sus 20 weld neck flanges, alloy 20 flanges manufacturers, alloy 20 price list, alloy 20 flanges pipe, alloy 20 flanges manufacturer in mumbai, 20 flange manufacturer, alloy 20 manufacturer in mumbai, alloy 20 exporter in india, alloy 20 flange astm, alloy 20 dealer in mumbai, alloy 20 flange manufacturer india, alloy flanges price list, alloy 20 pipe flanges, alloy 20 wrought austenitic flanges, alloy 20 flanges, alloy 20 flange price list, alloy 20 loose flanges, ms 20 flange manufacturer in india. Qatar, Algeria, Kenya, India, Russia, Italy, Hungary, Denmark, Belarus, Australia, Poland, Ireland, Turkey, Slovakia, Ecuador, France, Romania, Belgium, South Africa, Puerto Rico, Azerbaijan, Afghanistan, Thailand, Croatia, China, Nigeria, Philippines, Peru, Venezuela, South Korea, Japan, Hong Kong, Oman, Netherlands, Mexico, United Kingdom, Bahrain, Gabon, Costa Rica, Jordan, Iraq, Germany, Libya, Israel, Mongolia, Switzerland, Greece, Yemen, Chile, Finland, Kazakhstan, Spain, Macau, Indonesia, United Arab Emirates, Bangladesh, United States, Lebanon, Argentina, Malaysia, New Zealand, Iran, Iran, Egypt, Taiwan, Morocco, Norway, Bolivia, Bulgaria, Sri Lanka, Namibia, Saudi Arabia, Poland, Ukraine, Estonia, Tibet, Serbia, Gambia, Ghana, Zimbabwe, Nepal, Brazil, Chile, Lithuania, Nigeria, Singapore, Canada, Sweden, Kuwait, Vietnam, Portugal, Trinidad & Tobago,Tunisia, Mexico, Czech Republic, Angola, Bhutan, Pakistan, Colombia, Austria. Thane, Perth, Brisbane, Edmonton, Thiruvananthapuram, Baroda, Granada, Atyrau, Dubai, Faridabad, Manama, Karachi, Houston, Singapore, Melbourne, Moscow, Madrid, Kuala Lumpur, Navi Mumbai, Jeddah, Chiyoda, Howrah, Toronto, Chennai, Tehran, Aberdeen, Nashik, Gurgaon, Sharjah, Seoul, Hyderabad, Lagos, Ahmedabad, London, Mumbai, Kanpur, Lahore, Hong Kong, Calgary, Ankara, Caracas, Secunderabad, Bogota, Milan, Mexico City, Montreal, Visakhapatnam, Bhopal, Jaipur, Rajkot, Hanoi, Al Khobar, Ho Chi Minh City, Muscat, Istanbul, Jamshedpur, Kolkata, Ranchi, Ahvaz, Port-of-Spain, Rio de Janeiro, Los Angeles, Coimbatore, Bangkok, Vadodara, Noida, New York, Petaling Jaya, Dammam, Ernakulam, Bengaluru, Gimhae-si, Vung Tau, Geoje-si, Pimpri-Chinchwad, Riyadh, Kuwait City, Cairo, Ludhiana, Ulsan, Haryana, Al Jubail, Nagpur, Indore, La Victoria, Colombo, Doha, New Delhi, Chandigarh, Busan, Pune, Jakarta, Santiago, Sydney, Abu Dhabi, Courbevoie, Surat, Algiers, Dallas.